A great opportunity to enjoy the sound of the strings on the grounds of the Museum! Bring your lawn chairs! 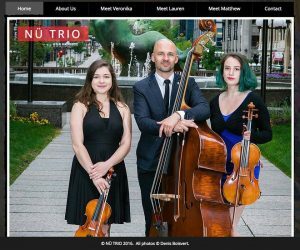 Enjoy an evening of chamber music featuring Nü TRIO, a classical string ensemble from Montreal performing works by Mozart, Beethoven and a few surprise composers.